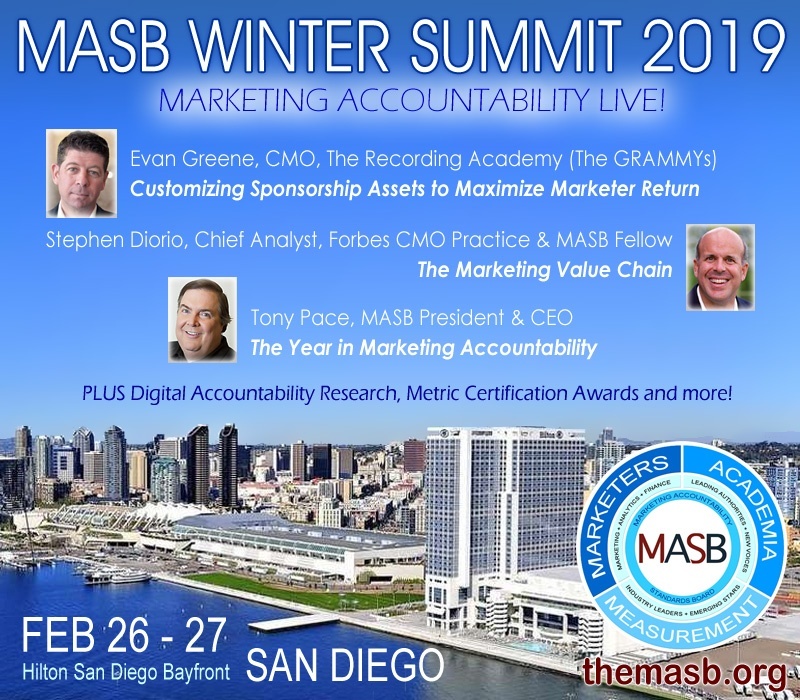 The 2019 MASB Winter Board Meeting and Summit will be held at the Hilton San Diego Bayfront, 1 Park Boulevard, San Diego; Tuesday, February 26, 7:30 am – 6:00 pm with dinner afterward, and Wednesday, February 27, 8:00 am – Noon. This event is being held in conjunction with the ANA Brand Masters Conference, which commences on Wednesday. Attendees of the MASB event can attend the ANA event for a significantly discounted rate. For more information or to request an invitation, contact events@themasb.org.